Monday 12pm update: An area of low pressure will track into the Ohio Valley this evening before weakening and allowing another area of low pressure to develop across the Delmarva. The trailing cold front with the first low will swing through Virginia late tonight into early Tuesday. I'm expecting a quick burst of snow tonight with up to a few inches possible across far northern Virginia and the higher elevations of the Allegheny and northern Blue Ridge Mountains. There will be enough of a cold wedge in place to produce a snow/sleet/rain mix for the rest of the Shenandoah and New River Valleys as well. 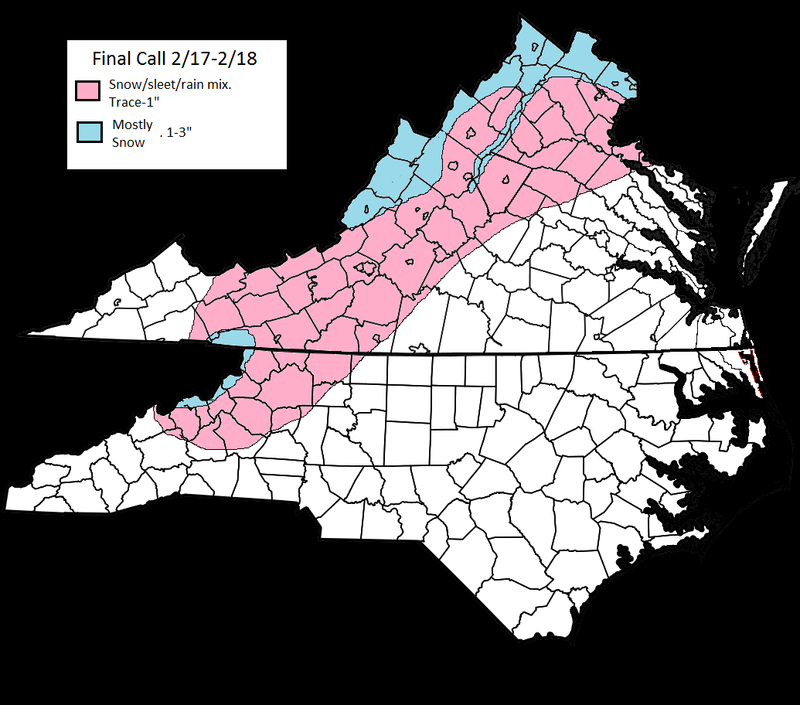 There may even be some mix east of the mountains, but think most of this stays north of I-64. 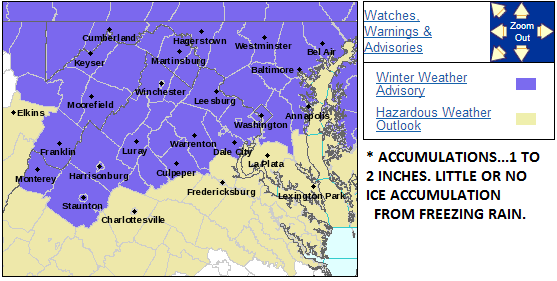 3pm update: Winter Weather Advisories have been issued for much of the central and northern Shenandoah Valley and the Greater DC area for 1-2" of snow. FROM 10 PM THIS EVENING TO 6 AM EST TUESDAY. * TIMING...LATE THIS EVENING THROUGH OVERNIGHT. * TEMPERATURES...MIDDLE TO UPPER 20S. * WINDS...SOUTHEAST 5 TO 10 MPH. COVERED AND SLIPPERY THROUGH THE MORNING RUSH.